Photo Friday- Envelopes! Envelopes Everywhere! Today, the SIA team spent a better portion of the day gathered at the meeting table. For what, you say? 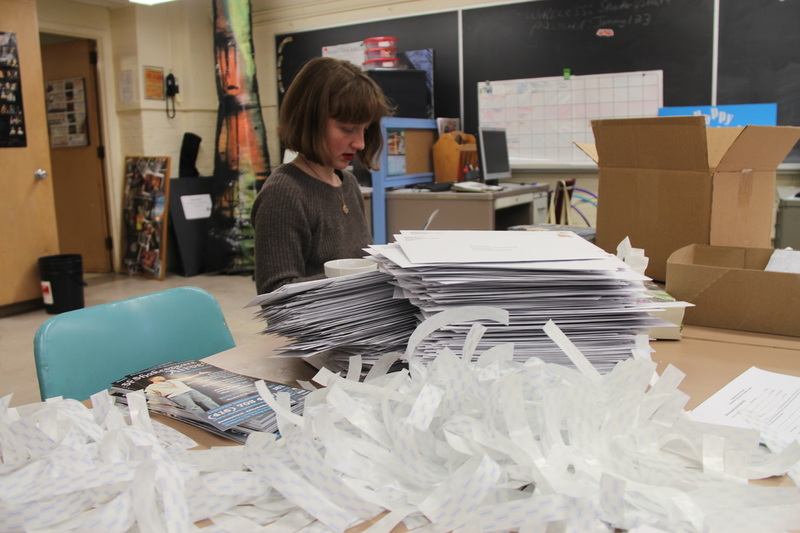 Why, stuffing envelopes of course! We are excited to announce that our popular interactive touring program, Shakespeare Alive will be returning this Spring! The tour will start on March 31, and run until April 11. We are visiting schools across Toronto and the GTA, so make sure to book your school now! 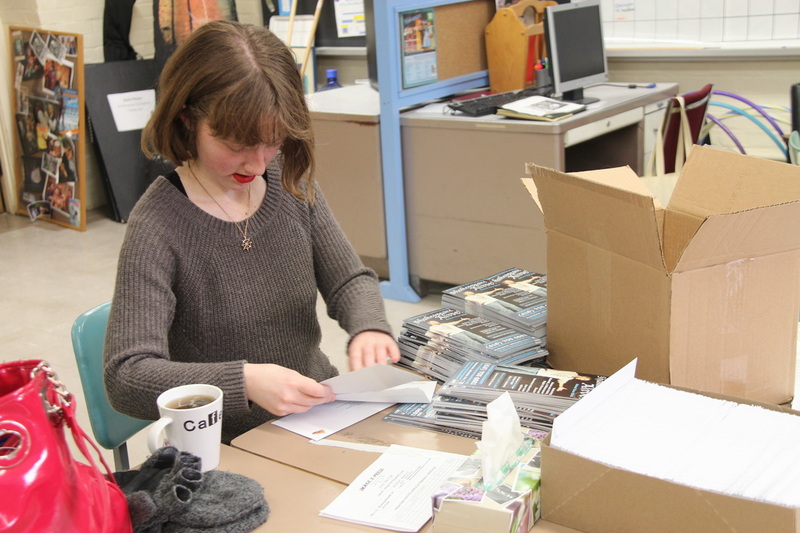 Rosemary is focused on getting through her pile of flyers! The wall between me and Rosemary is growing by the minute! And we weren’t even half finished at this point! 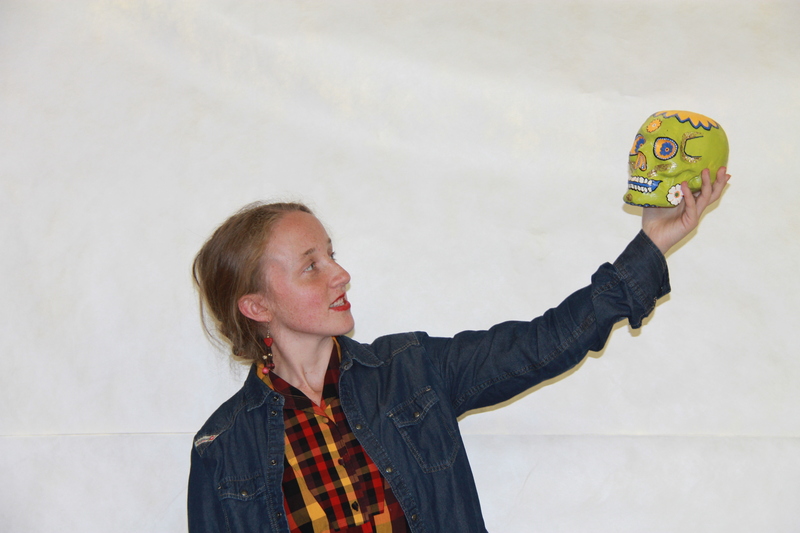 Photo Friday- Everything’s Coming Up Hamlet! Hello my dearest Shakespeare fans! I hope you all had a fabulous week. We are currently getting ready for our brand new production of Hamlet, and we decided to have some fun in the rehearsal space today! Our lovely intern, Rosemary ponders those famous words… I don’t think I have to tell you what they are! Photo Friday – Shakespeare Alive, Rave Reviews! Yesterday’s performance was outstanding! The three performers were energetic, talented, funny, informative and it was a great pleasure for me to look out at the audience’s faces in the lecture theatre — the really academic students, the not-so-academic students — all were grinning and under the spell cast by your actors. The audience participation elements were very well received.I told your performers after the show that they made my job easier (the kids found a new respect for and interest in Shakespeare), but also harder, because how can we teachers match the fun of what they did?We would be pleased to have them come again in the future. One of the students at Central Commerce Collegiate has some fun with our Shakespeare Alive instructors reenacting a scene from Macbeth! Shakespeare in Action is proud to announce its Adopt-A-School Program!! I know what you are thinking… What IS the Adopt-A-School Program? 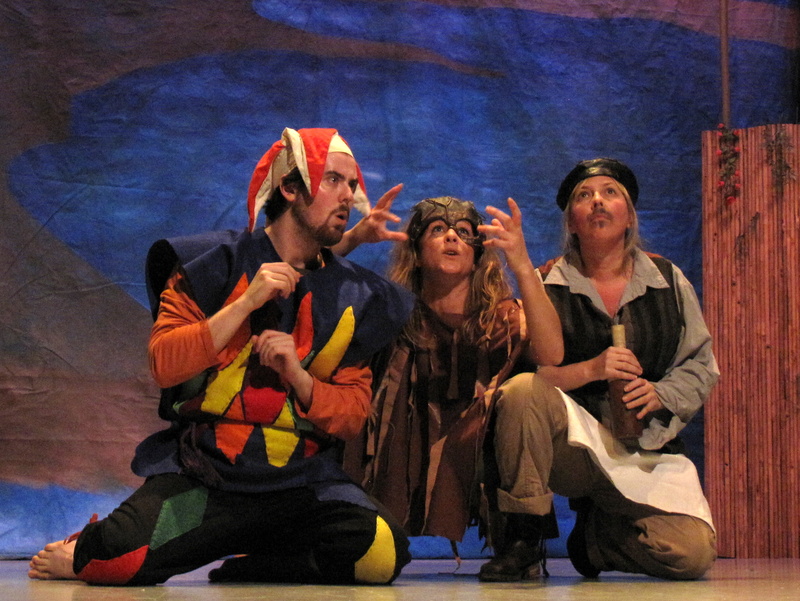 The Adopt-A-School Program is an accessibility program that allows children from ages 7-12 in your neighborhood schools to engage with Shakespeare’s plays in a unique way that demystifies the language and brings Shakespeare alive! The primary goal of this program is to provide access to the arts. 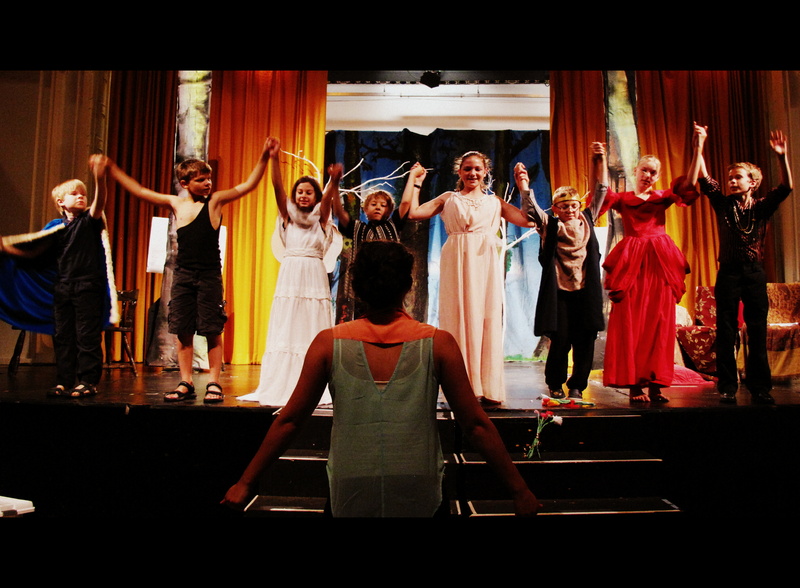 Shakespeare In Action works directly in your local school with an entire grade group or even with the entire school. We customize each program to meet the school’s needs. In 2012 we reached over 16,000 youth and 1000 families across the GTA through our performance, education and outreach programs. All of our programming is delivered by professional actors and certified OCT educators. We believe that youth deserve the highest quality arts education and we won’t compromise. The Adopt-A-School program allows schools with limited resources to benefit from the same programs available to private and separate schools. Our programming builds self-confidence, promotes spirited students, teamwork, and helps create a more productive and engaged individual. Pick a school that needs your help. 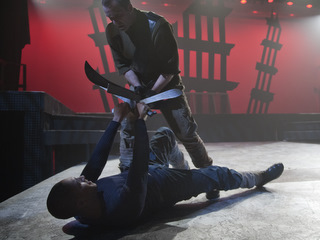 Contact Shakespeare in Action at (416) 703-4881. 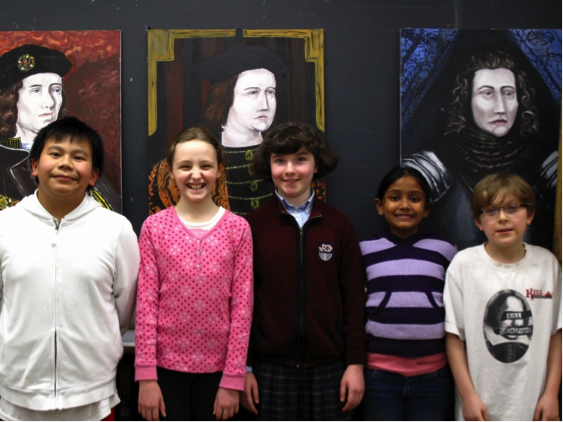 Make a donation to Shakespeare in Action designated toward Adopt-a-school. Programs can be arranged for donations starting at $1,000. Shakespeare in Action will take it from here customizing a program that meets the school’s needs. We’ll keep you posted on student progress and you’ll even receive feedback from the benefiting students. We’ll share your story through our website, Facebook, Twitter and with a special press release announcing your organization’s involvement. Give the gift of language, creativity and the arts today!